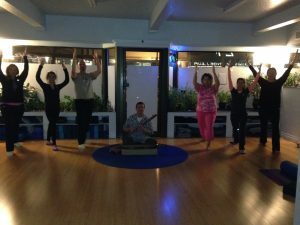 Yoga classes for all levels offered in historic downtown Roseburg, Oregon, by experienced and caring instructors since 2006! 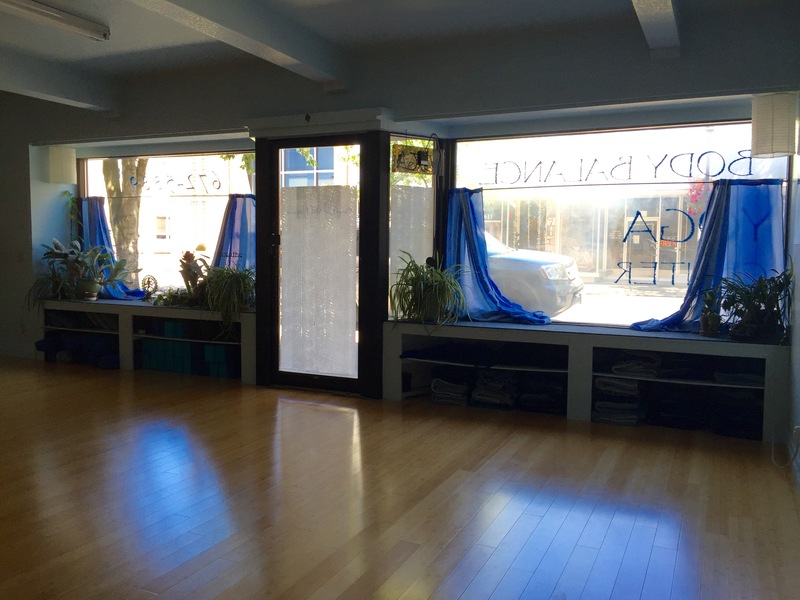 Special offer for new students: $7 for first visit OR $25 for two weeks of unlimited yoga. Great deal! NEW! Join us Sunday 6-7 pm for meditation, chanting, sharing. Come for part or all. Donations are welcome but not required. Sunrise Yoga with Carolyn is suspended. We had lots of requests over the years but not enough attendees. Email us if you want us to bring it back. • Visit us on Facebook and like us to get updates. Above: Monday night with live music. 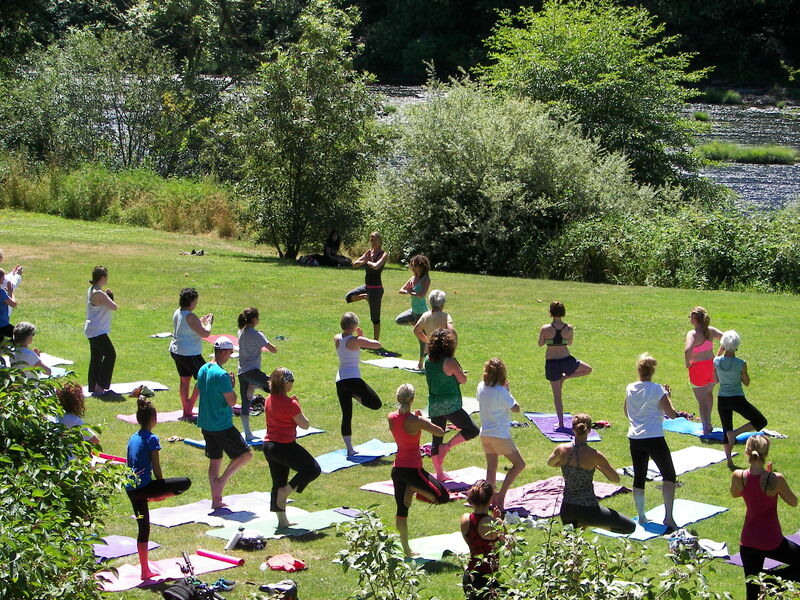 Below: Free Yoga in the Park.